While I was in Paris, my friend Mila came to visit and we rented the cutest apartment in the 15th arrondissement through Airbnb. On Mila's first day in Paris, it was pouring down rain. (Okay, so, it pretty much rained the whole week, but this day was especially bad.) We spent a good half of our day drenched and spiteful of the Seattle-esque weather. So, we had the most delightful, mouthwatering, perfect little picnic on the charming balcony of our darling French apartment. Living like locals really isn't so bad. 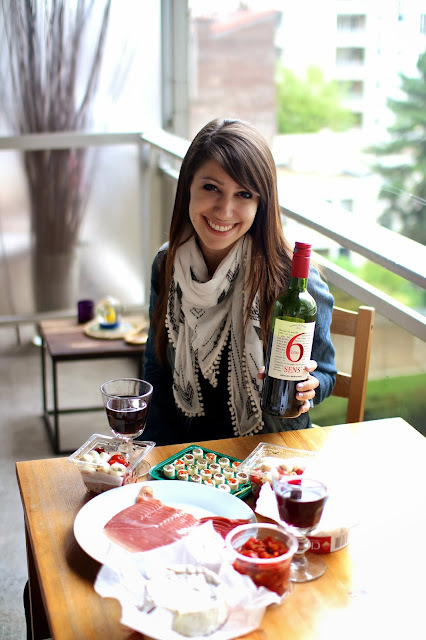 2 comments on "Un Petit Picnic Parisien"
Beautiful pictures and what a lovely little picnic! 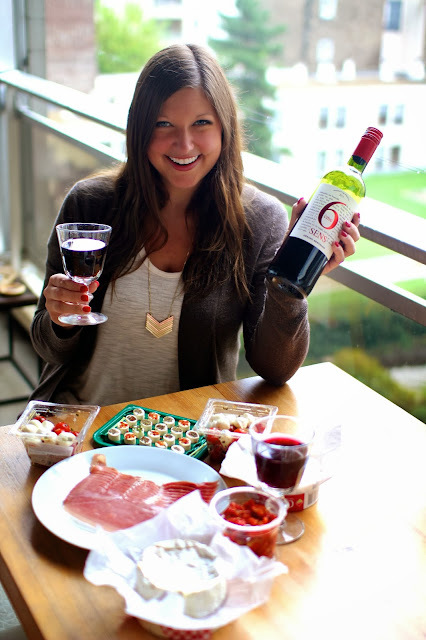 Let's bring this idea of an indoor picnic (with wine, of course) to Madrid! ...I hear the rain is coming soon!